“The teaching methodology utilized by the OASIS Program stems from a concept by Peña Hen and later by Abreu: a student doesn’t need to be conservatory-proficient in order to play in an orchestra or in public. 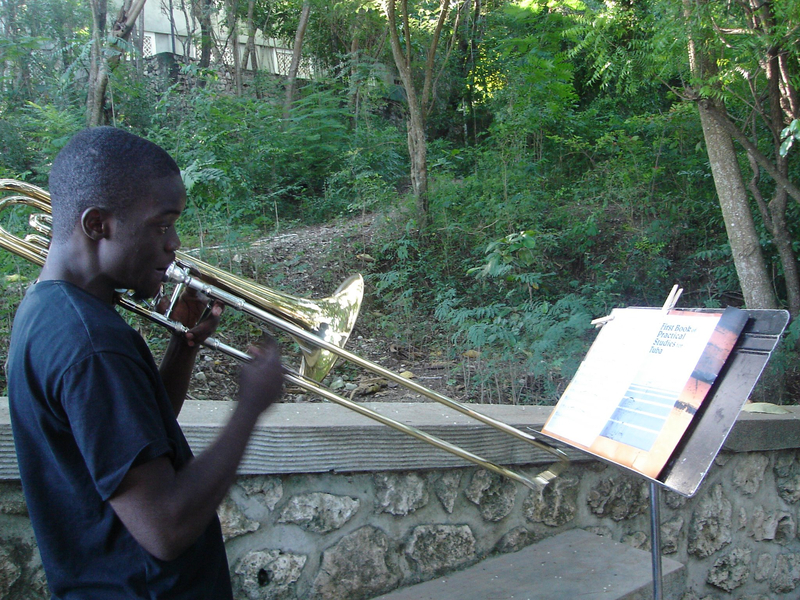 The OASIS program seeks to contribute to the lowering of risk factors related to school dropouts and youth violence of low-income children and youths (ages 10-18) in the region, by re-directing their spare time to a systematic orchestral and choral afterschool training program. 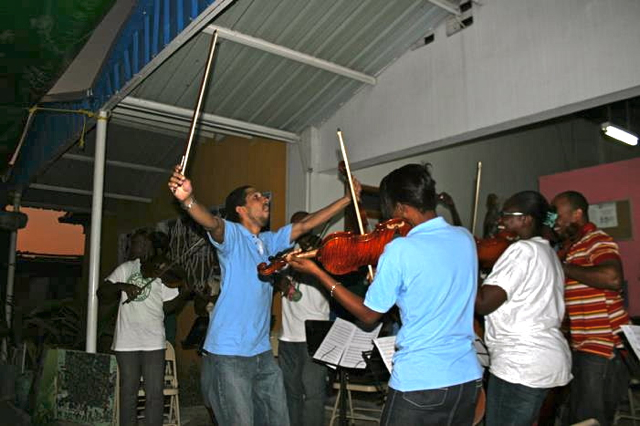 OASIS was started by the Organization of American States (OAS) in June 2009 as a pilot orchestra program for at-risk youth in Haiti, Jamaica and Saint Lucia. This program was adapted from methodology originating in Chile in 1964 and was made popular by Venezuela’s Fundación Musical Simón Bolivar (FESNOJIV). 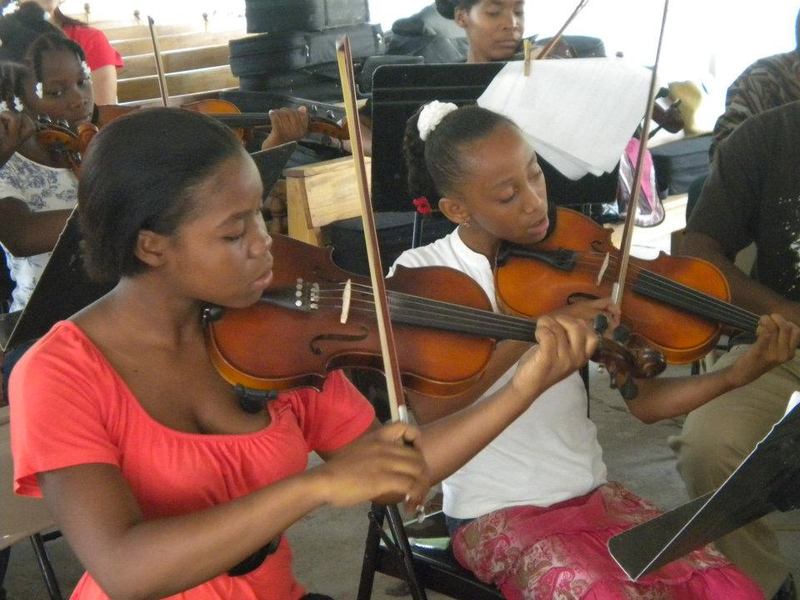 Music education is made accessible to neglected youth populations by integrating theoretical, instrumental, orchestral practice and performance from the outset and emphasizing group work, ensuring that participants get involved in joint activities from the beginning. The method ensures early and continued exposure to great music works and seeks continuous contact between beneficiaries and the community. Ensemble playing and public performing are maybe the most stimulating aspects of music making, and should be experienced from the very beginning of the music instruction. It mixes elements from Venezuela, Chile and the U.S. as well as arrangements of local folk and popular tunes written by native composers and arrangers. – In only 18 months, the program has increased its students’ educational aspirations and it has increased the skills needed to succeed in the academic world. – In Jamaica, OASIS students reported using less alcohol and marihuana than their non-OASIS counterparts. – In Haiti, OASIS students improved their relationships with their parents and guardians. These participants were also more likely to practice sports than non-OASIS ones. – Challenge and rethink assumptions about what is appropriate for which groups, especially at-risk youth. – Remix practices from around the world and honor local customs. – Group work and public performances are good educational practices. 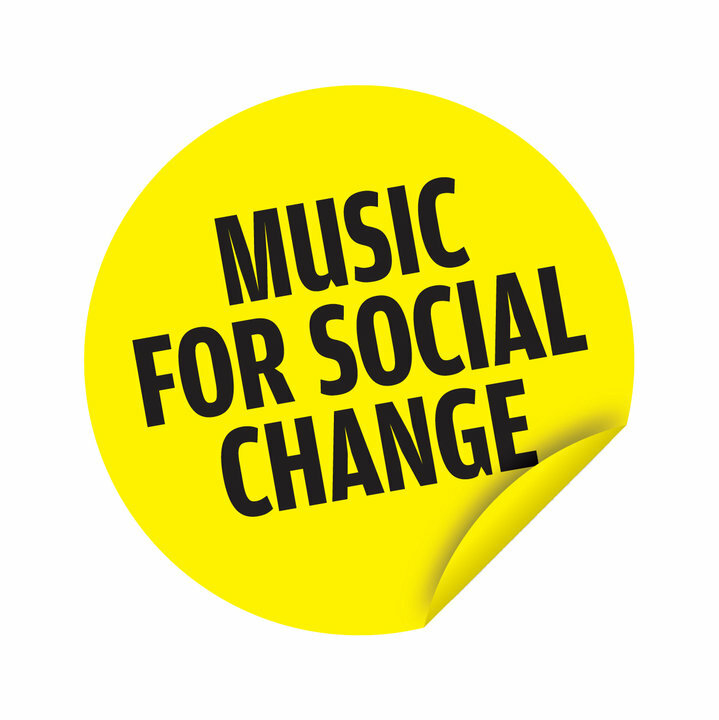 – More music in schools. Any others? Post below. Happy Weekend.